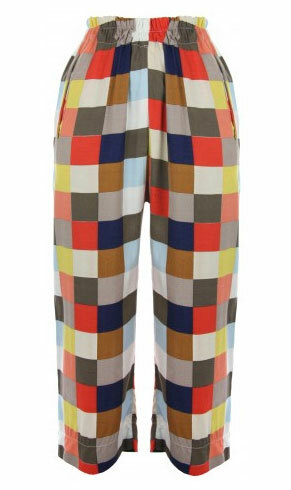 Hugely popular back in the 60's and 70's, palazzo trousers have returned to the catwalks and are back in trend. The palazzo style are wide-legged, loose fitting and free-flowing trousers that combine style with comfort. Due to the wide-legged style, these fashionable trousers are a perfect fit for every body shape as there are so many styles available in a multitude of colours and materials. Experiment with accessories and various styles to find which suits you best, for an effortlessly chic look that is perfect for day and night. As palazzo pants are so versatile, the ways in which they can be worn is endless. For a stylish yet casual daytime look, grab yourself a pair of floral or printed palazzo trousers and wear with a plain top and some co-ordinating jewellery. Wear this pair stunning Illusion Print Palazzo Trousers with a plain top and pair of wedges or flats for an effortlessly casual look, which can spruced up with a little accessorising. Palazzo pants make great evening wear as they can add a touch more glamour than regular trousers do. Also, these lightweight trousers are perfect for warm evenings when you don't want to bare your legs but are worried about getting too hot; as most palazzo trousers are made using lightweight, floaty materials. However, there are a selection of thicker palazzo trousers available so you can wear this fashion trend throughout the whole year. For more inspiration on how to wear one of this year's favourite trends, view our collection of palazzo trousers and treat yourself today!